The Aquaseal Wet Room System is designed to provide a permanently flexible watertight membrane prior to tiling in areas such as showers, wet rooms, wet zones in bathrooms and other tiled areas subject to water exposure such as balconies and partially covered external areas. 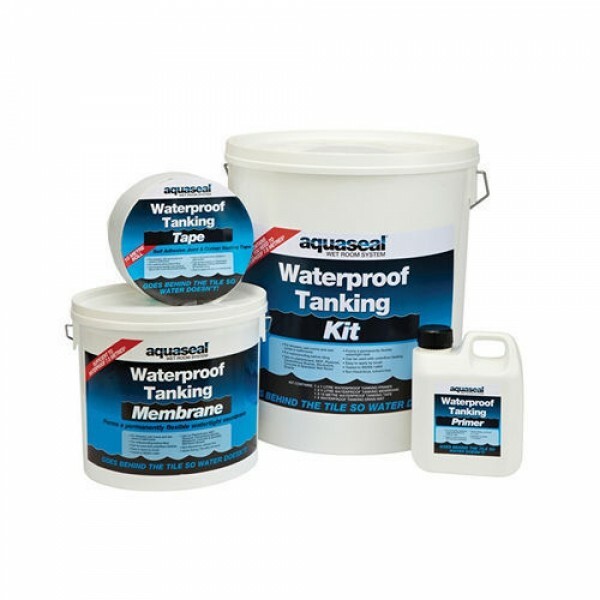 The Aquaseal Wet Room System consists of a primer, tanking tape, tanking membrane and drain mat and is based on tried and tested wet room tanking principles used in areas such as Scandinavia and Germany where wet rooms have been common for many years. 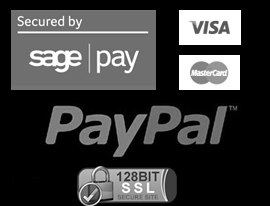 · All components contained in 1 kit. · Single components also available. · Easy reference instructions on all components. Use on all board joints, corners & pipe entries. For use on plasterboard, MDF, concrete, wet room boards, plywood etc. All surfaces must be clean sound and dust free. A ready to use primer, applied by brush to all porous and semi porous surfaces in the areas that are to be waterproofed. It is quick drying and can be over coated after 1 hour. A self-adhesive joint & corner sealing butyl backed fleece tape that should be applied to all corner joints, board joints and pipe penetrations to provide a watertight seal that accommodates cross directional movement. The kit contains a 10 (5 for standard shower kit) metre roll which is usually sufficient to waterproof the corners in a 7.5 square metre application. 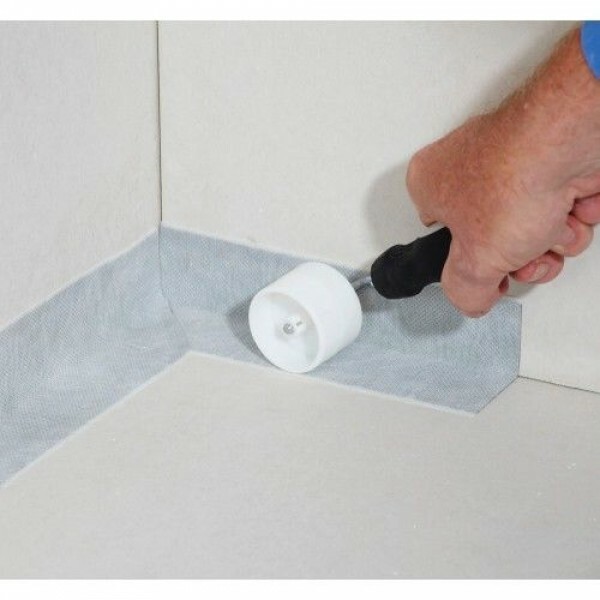 Self-adhesive butyl backed fleece capable of coping with board movement around the drain outlet, which is the area most susceptible to water leaks. 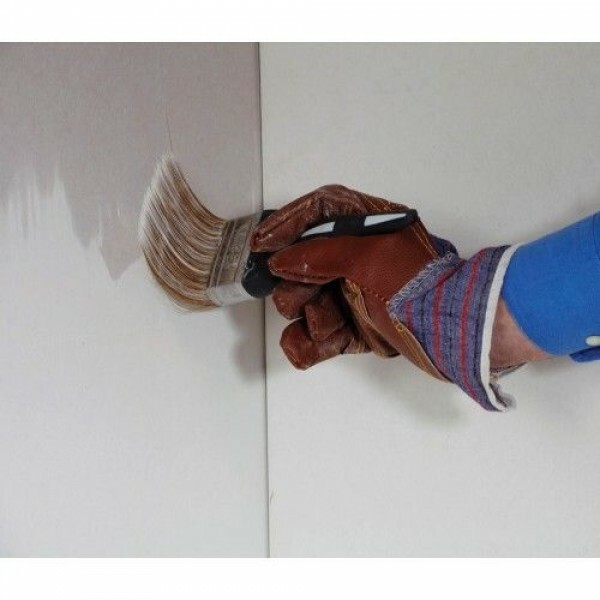 A ready to use, liquid waterproofing compound which is applied in a 2 coat system by brush to provide a permanently flexible watertight membrane. Non-hazardous and solvent free. It is quick drying and tiling can commence after 12 hours. The tape can be over coated with Aquaseal Waterproof Tanking Membrane immediately after application. On internal corners ensure the tape overlaps on both sides to avoid a weak spot in the centre of the internal corner. See individual Technical sheets for specific product data. Consult MSDS for full list of hazards. 12 months for all individual components when stored according to manufacturers instructions. © 2016 Platinum Supplies . All Rights Reserved.